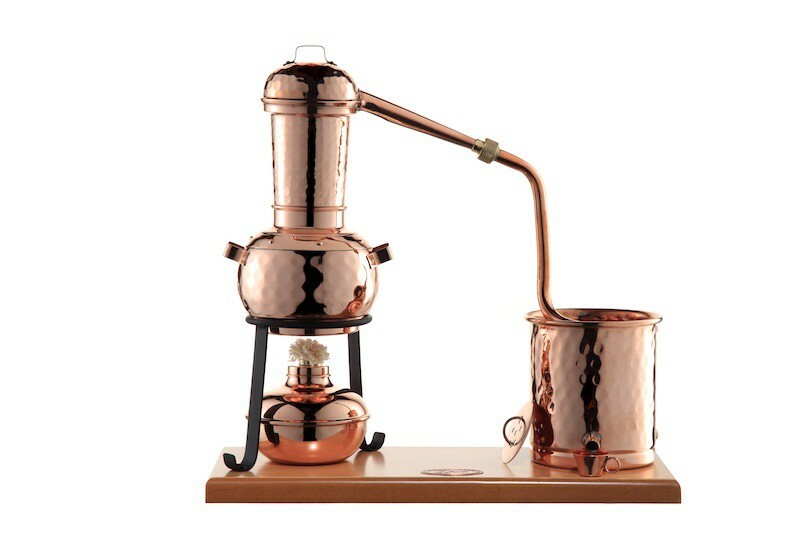 Steam distillation apparatus composed of a copper Arabia still on a wrought iron stand and an alcohol burner. 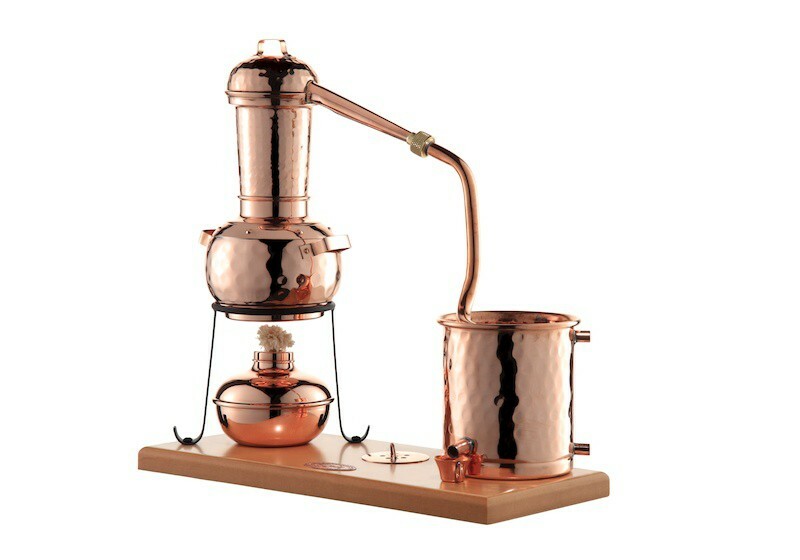 A stylish versatile still for distilling and decorative use. 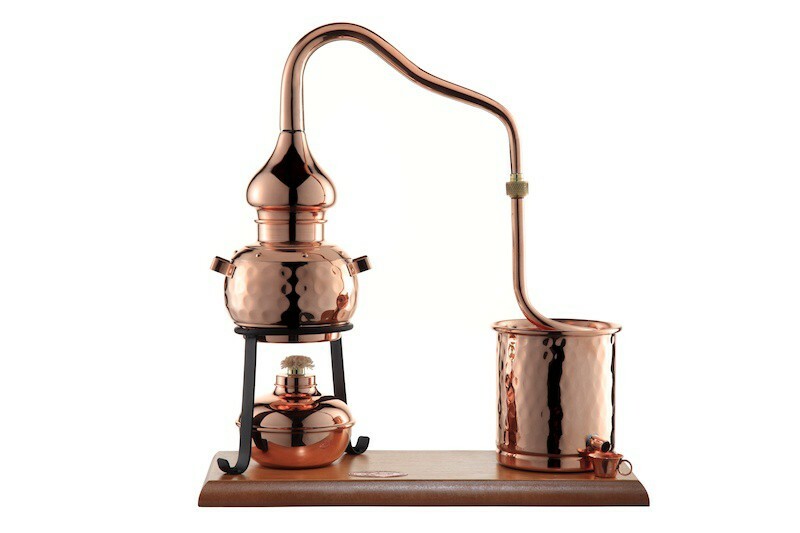 This steam-distillation apparatus is without a doubt our most precious mini-still. Check out all the little details that make this functional versatile apparatus completely unique. 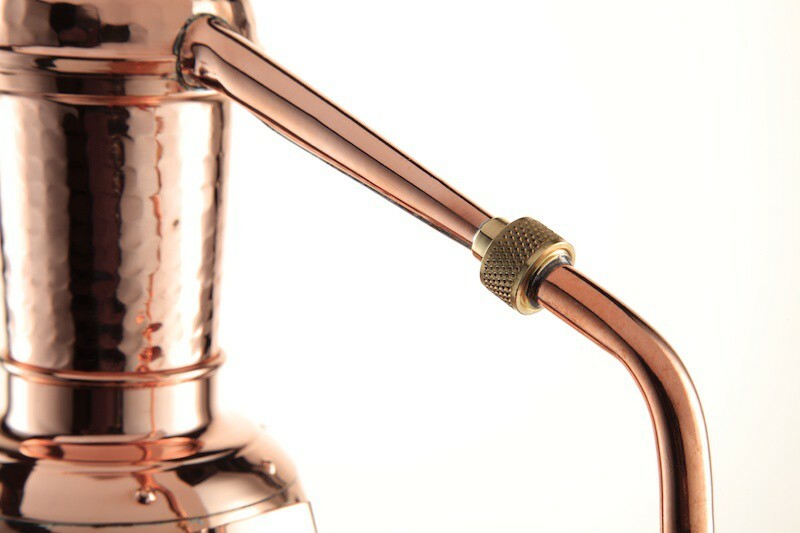 The brass junction between the swan neck and the condenser can be safely screwed on, the large Alembic head contains a copper sieve for aromas / removable steam filter, the condenser has a pouring spout and a water intake/outlet for the cooling circuit. The boiler stands on a wrought iron stand and is heated by a small alcohol burner. All the elements are brazed together (lead-free), fit for human consumption. This still is also a beautiful object of decoration, even though its initial function is for distillation. For example, you could fill the sieve with raspberries and pour vodka into the boiler. After distillation, you’ll obtain a raspberry perfumed spirit. Needless to say that imagination has no limits and that your still will allow you to experiment different fruits, herbs and spices. 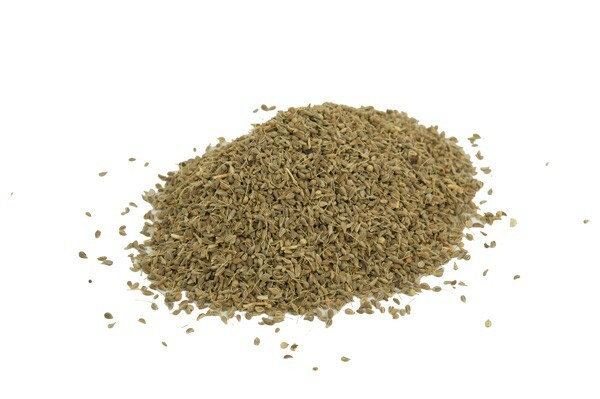 Bare in mind that some renowned spirits are made this way: Anisette, juniper berries for Gin, Gentilan, etc. 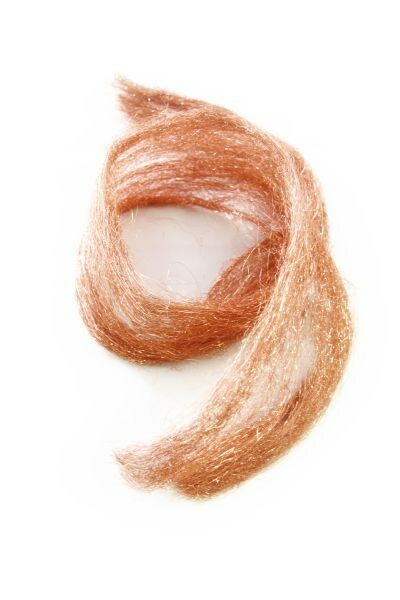 This procedure also avoids toxins contaminating your production and even beginners can obtain excellent results. Please note: If you want to distil your own mash (for fruit schnapps), wine (for brandy) or beer (for beer schnapps) you have to pour off the first drops, the so-called heads. This can contain toxic substances! 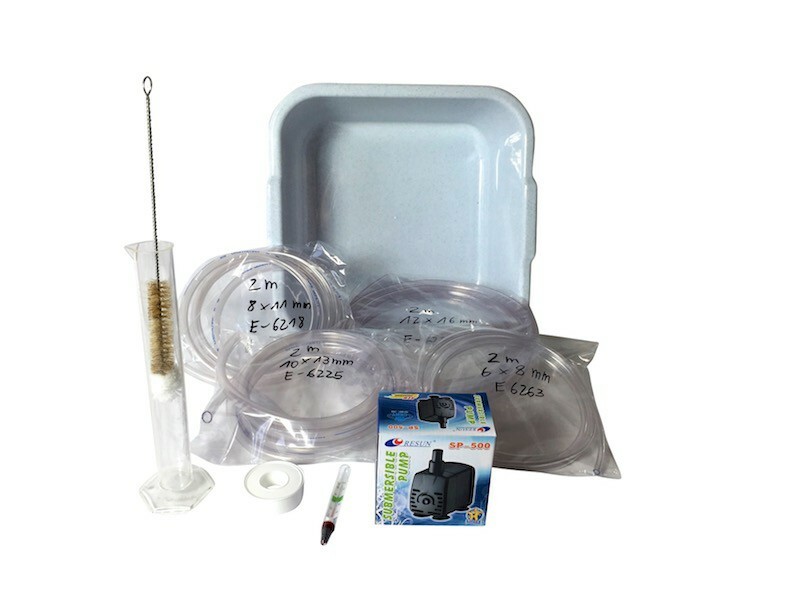 To make it easier for you, we supply every still with a small cup for collecting the heads. 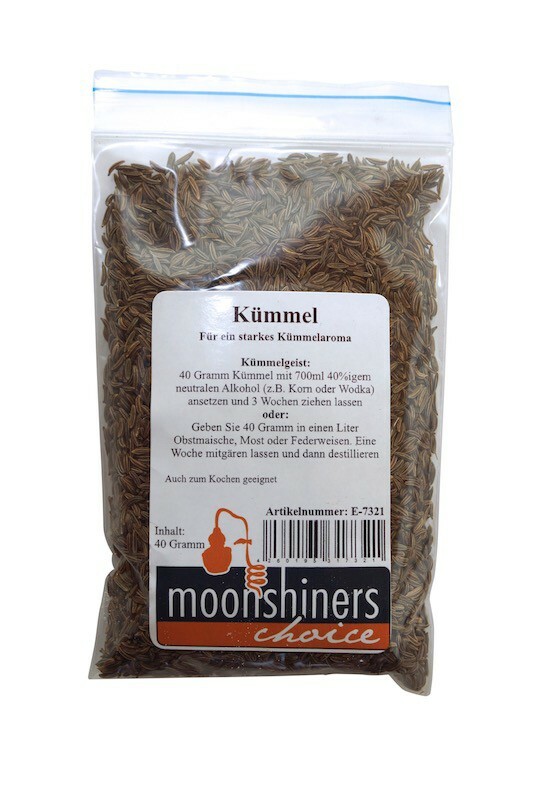 You are on the safe side if you pour off this small amount of liquid, and can also distil your own fine spirits. 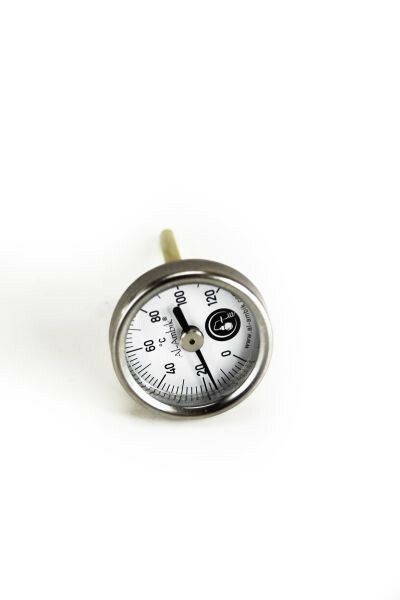 Separating the heads using a thermometer is not possible with a 0,5 liter still. What is left to be said? 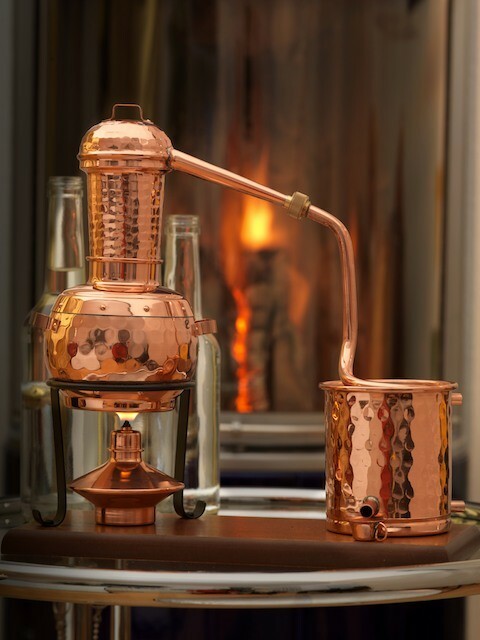 This "CopperGarden®" still is a real beauty which leaves nothing to be desired by the hobby user – fun and new flavorful experiences are guaranteed. 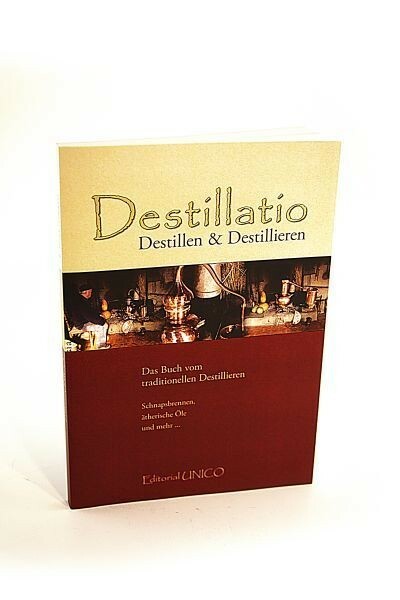 Schnapps distillation is really a multifaceted hobby, but the still can do much more. 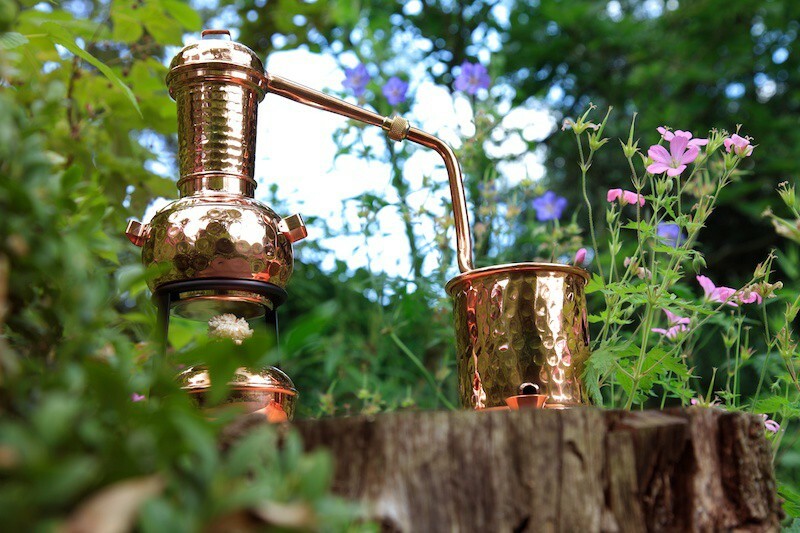 With this still you can even distil essential oils in small quantities and produce useful amounts of herbal distillates for cosmetic or medicinal purposes. We have tried it ourselves! As we already mentioned, this still is very versatile and you will not regret the purchase. Since we often use this distillation equipment ourselves, we have gained a lot of experience and can recommend it as the perfect still for your new hobby. In case you have any questions we are always available for you! 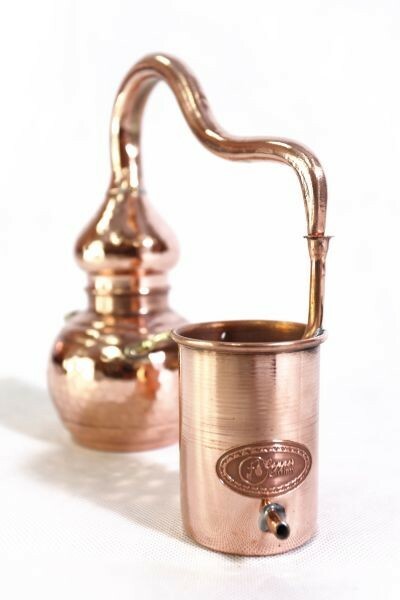 The tried and tested 0,5 Liter Arabia still – very versatile! Materials used : partially hammered copper, wood and wrought iron.